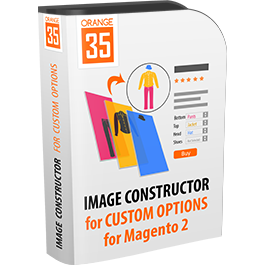 Thanks for your interest in "Image Constructor for Custom Options for Magento 2 " for Magento 2. At the moment, Orange 35 Team is working like a bee to release the stable version of this addon. So, if you would like to benefit from the Image Constructor for Custom Options for Magento 2 for Magento 2 first, fill in the form below. Image Constructor allows you to change some parts of the product image by uploading a transparent images to custom option values. These images overlay the main product photo in accordance with a custom option value that is selected on the front end. As soon as the stable version will be ready, you will get a short notice immediately.